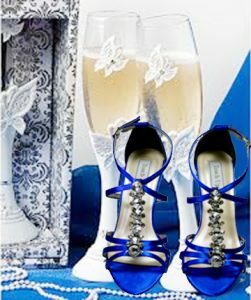 Tradition is very important to a lot of people, so it is very common for brides to dye their shoes the same color as their wedding dress. This classic “head-to-toe in white” look is exactly what many brides have always dreamt. 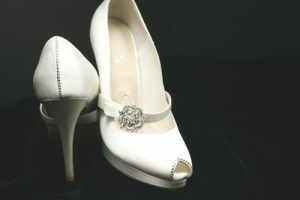 With the selection we have available, a white pair of bridal shoes will look just as fabulous as a custom dyed pair. 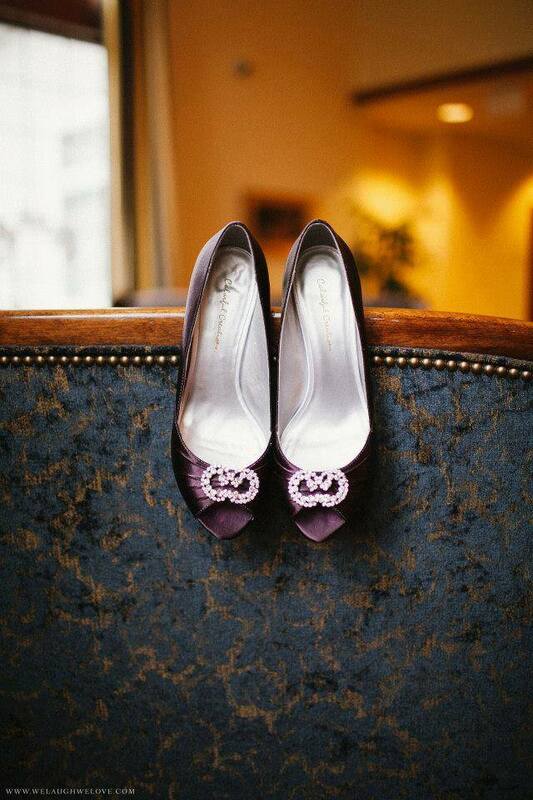 Weddings are known for being all about the bride. 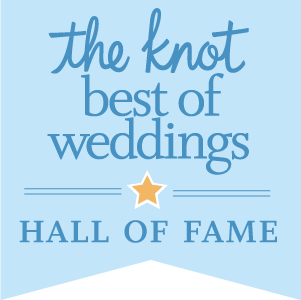 From her custom designed wedding dress, to the venue of her dreams, every aspect of the wedding is going to showcase the bride’s personality and style. Dyeing the bride’s wedding shoes her favorite color is a perfect way to add something personal to the classic bride look. Dyeing the bride’s shoes the color of her bridesmaids’ dresses is becoming a very popular choice. It creates a beautiful, fun, and consistent look throughout the bridal party, which will be perfect for pictures. 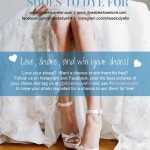 Other brides decide to dye their shoes the same color as their bridesmaids’ shoes as opposed to their dresses. 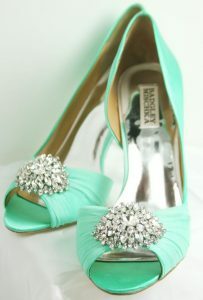 Another creative color choice for wedding shoes is one from the color scheme of the wedding that is not already featured in the bridal party’s color scheme. 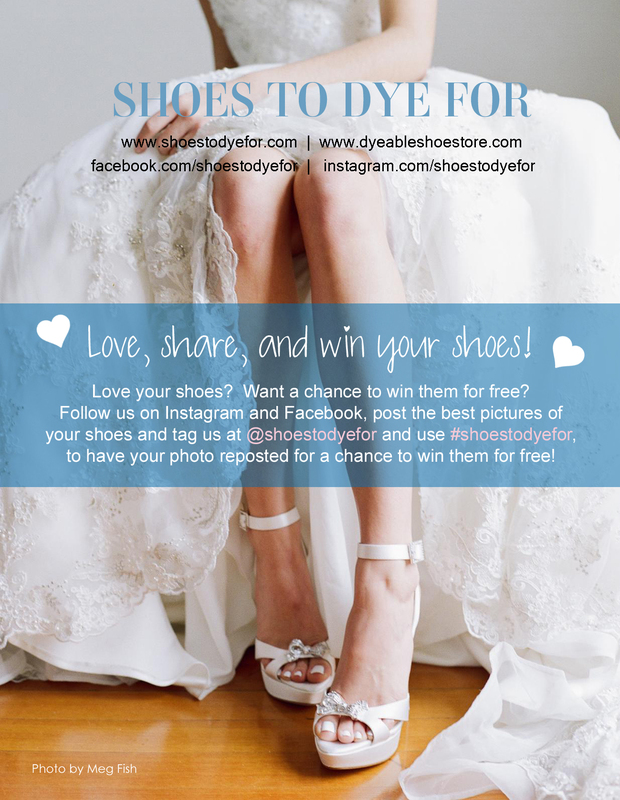 Brides choose colors that reflect their individuality, so by dyeing her shoes one of these colors, the bride is able to incorporate all colors of her wedding throughout the entire day.